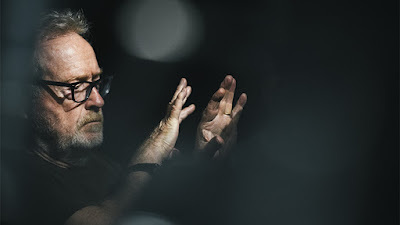 With his continued Alien prequel film series on indefinite hold, it looks like director Ridley Scott is moving in a new direction. The prolific creator is now working on a science fiction series for TNT called Raised By Wolves. Based on a story by Aaron Guzikowski (Prisoners and Papillon), the show will be centered a a pair of androids that take care of human children on a colonized planet. The show is said to use current political themes in its storyline and will also be taking a look at religious beliefs. Scott hasn't directed anything for television since the '60s, so this could be interesting. "I'm always searching for new frontiers in the sci-fi genre and have found a true original in Raised by Wolves - a wholly distinct and imaginative world, full of characters struggling with existential questions: What makes us human? What constitutes a family? And what if we could start over again and erase the mess we’ve made of our planet? Would we survive? Would we do better? Given TNT's impressive run of bold, quality programming, this feels like exactly the right home for this kind of ambitious television."